If you’re looking for the best vaping and smoking experience the industry has to offer, you can find all of the products and accessories that you’ll need at Smoke World Vape. 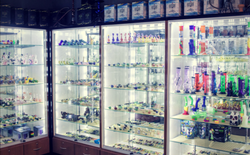 Both of our locations carry a comprehensive collection of nearly any smoking accessory you might desire. If you’re curious about the latest smoking craze, you can discover it here at Smoke World Vape. We stock the best products in the industry because we have the experience and knowledge to know which items will rock your taste buds. Smoke World Vape is a family-owned business. We have two locations that serve the greater Milwaukee Area, a community with pride. Visit us in Brookfield or in Oak Creek, Wisconsin. 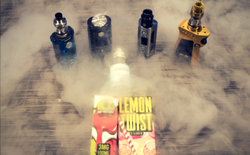 Whether you are just stopping in for a classic pack of cigarettes or the latest vaping accessories, Smoke World Vape has all of your smoking and vaping needs. Come in and relax at our vape bar, meet other vapers and learn about e-cigs.